I mean, it’s normal to think that, but that’s the beauty of technology. With it, you can get anything delivered in minutes from Amazon. A $100k car for $45k from Tesla. And now, personalized dog training (normally $1000s+) for as little as $1. But I know that’s not enough of an answer so here’s some more detail on how we make money, and how we can make enough money to keep improving Ludwig for you! Okay, so there’s unfortunately a huge problem with the dog training industry, and in general, the dog service industry. That means we truly do what we do for the LOVE of the dogs. And to be fair, it’s not a bad problem to have. Dog trainers literally get to spend our days with man’s best friend, training them to be better pups, and provide their families with a more delightful relationship with their pets. It’s a pretty grand life, and I wouldn’t trade growing up in this world for anything! Unfortunately, due to increases in minimum wage, the cost in caring for pets, and the long periods of training to make sure it’s done right, doesn’t leave a lot of money on the table to feed our human families. Now, with incredibly smart algorithms, we can figure out the nuances for each dog and using our expertise, create the best training curriculums. Because we can set things once, and the machines do the rest, we can past the savings onto you! Now, there is no doubt that we are experts in dog training. We can read, almost instantly, what’s going on with your dog, and tell you how to train it in a quick and easy-to-understand way. We don’t just know how to train your dog, we know what’s best for your pup too. 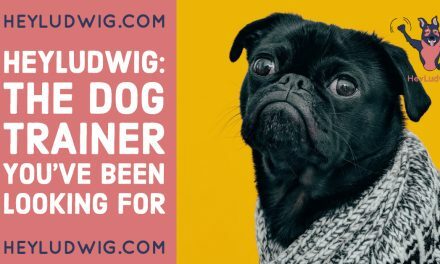 So, the second part of HeyLudwig involves making recommendations on what will be best for your pup. That means, based on your location and your pup’s personality, we will recommend food, equipment, veterinarians, doggy daycares, boarding facilities, and yes, even other dog trainers. Why would we recommend other dog trainers?! Because, we truly want the best for you and your dog. And as good as we are, there are limits to what HeyLudwig can help with. Sometimes, it is better to hire a professional dog trainer. Now, we make a very small commission that business or seller pays based on the product or service recommendations HeyLudwig makes. But, before you go thinking that we are some kind of Yelp, Thumbtack, or Angie’s List, we aren’t. We personally vet (pun intended) any of the recommendations we make and ensure they are of the highest quality. Of course, there are going to be times someone may not have the best experience with a recommendation we make. Unfortunately, that’s just the way of life, we are all human (or pets), and we will make mistakes. However, we will have systems in place for you to rate your experience to further improve the recommendations we are making. There are certain behaviors that are difficult to explain without seeing your pup first hand. 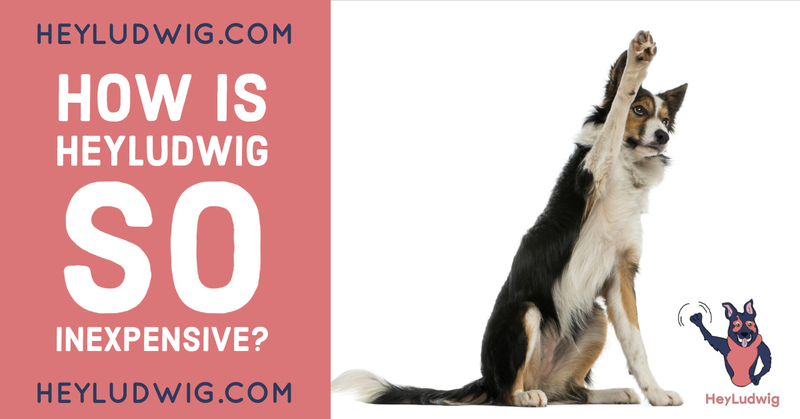 You see, the biggest problem with HeyLudwig is that it relies on your dog behavior skills. To be fair, it’s not your fault, it takes years of training to read dog behavior and even we get perplexed at times. Though, during those complicated situations, we have another solution. During the lesson, the pro trainer will work with you to troubleshoot and find solutions! All this, from the comfort of your home, and for cheaper than you can hire another trainer for! So, there you have it. Full transparency on how we make money. Of course, over time we may change, evolve, and grow our features, but rest assured, we will update this post to reflect that! If you have any questions please feel free to visit our FAQ page, and if you still have questions please contact us! Want to train pride-worthy behavior into your dog?